Finely chop coriander leaves and keep aside.Pre heat the oven at 180°C for 10 minutes. 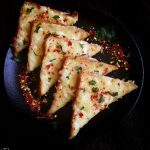 Take a bread slice spread the grated cheese over it, sprinkle chilly flakes and coriander leaves. Bake the bread slice for a minute, or till the cheese melts. Serve hot. *Bake this toast as soon as it is prepared . *Adjust the quantity of chilly flakes according to taste. *Replace finely chopped green chillies instead of chilly flakes. Finely chop coriander leaves and keep aside. Take a bread slice spread the grated cheese over it, sprinkle chilly flakes and coriander leaves. 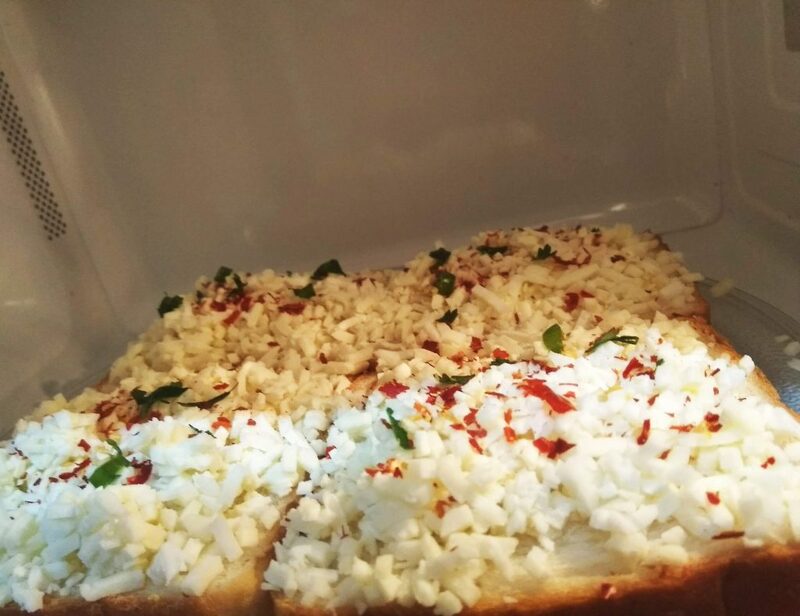 Bake the bread slice for a minute, or till the cheese melts.